Tired of the weekly routine? Then it’s time for an adventure in the #LiveFreeOrDie state of New Hampshire. Go summit ancient peaks, spelunk deep caves, buy some legal fireworks, and stuff yourself full of cider donuts. New Hampshire offers everything from the calms of Lake Winnipesaukee to the thrills of backcountry skiing -- here are 20 of the best things to do. 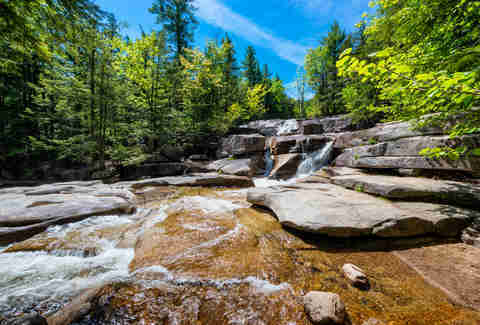 The White Mountain National Forest is home to some of the best hiking in the Northeast. The mountains are ancient -- over 100 million years old -- and hold a lush and deep beauty that’s truly incomparable. Those years of rain, snow, ice, and wind have carved out the granite mountains into long, rolling ridgelines. Trails range from great “bang-for-buck” day trips to breathtaking overnight treks. 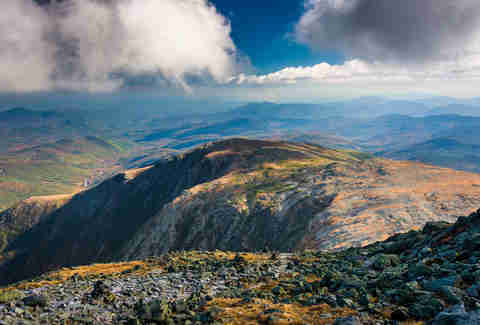 For the fairly seasoned hiker, check out the Presidential Traverse -- and definitely spend a night in the Appalachian Mountain Club’s Lakes of the Clouds hut. Mt. Washington is the highest mountain in New England, but locals know and respect its summit for having the “world’s worst weather,” at least according to the Mt. Washington Observatory. After all, Washington still holds the world record for highest ever directly measured surface wind speed (231 MPH). But when weather accommodates, Mt. Washington provides one of the best 360º views in the world: the pinnacle of New England. If you find yourself driving along one of New Hampshire’s stunning back roads and happen to spot a cider mill, yank back the emergency brake and make the pit stop. 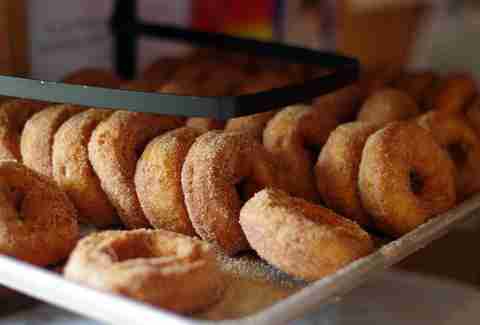 A warm cider donut is one of life’s greatest pleasures, and nobody does them better than New Hampshire. Some favorites include Cider Bellies Donuts, Windy Ridge Orchard, and the White Mountain Cider Company, which also happens to serve up a very memorable dinner. Every winter, countless powder-hungry tourists will travel to New Hampshire to get in some hard-earned turns. In all likelihood, they won’t find the powder they crave (this is New England after all), but if they know where to look, they will still find a good time. New Hampshire has a slope to offer everyone. For the casual family outing, try Attitash, Bretton Woods, or Sunapee. Terrain park groms will enjoy Loon. And the weekend warriors and backcountry lovers will find some fun at Wildcat or Tuckerman’s Ravine. Nestled just west of the incredible Presidential Range is the iconic hotel of New Hampshire. Every year its luxurious halls and sprawling garden play hot to a handful of weddings and events, and its spa is considered one of the best in the state. Equally impressive is its history -- the hotel is the birthplace of the gold standard and International Monetary Fund, created during the 1944 Bretton Woods conference. A word of warning to the skittish: Don’t stay in room 314 and don’t ask about Carolyn Stickney. 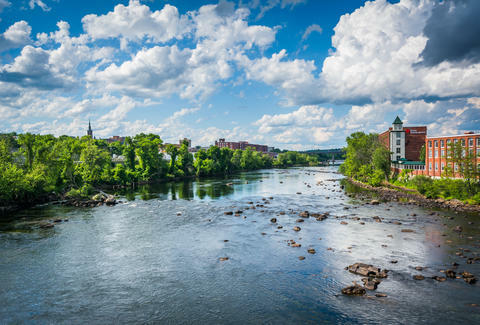 For those that enjoy a good road trip, New Hampshire does not disappoint. Think of quiet winding roads lined with maple, beech, and birch trees that give way to granite mountains, dark lakes, and rocky rivers. 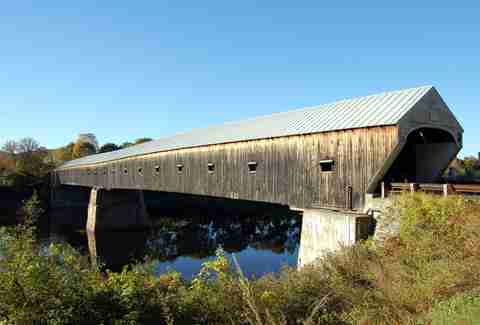 But what truly distinguishes New Hampshire’s roads are its 54 beautiful covered bridges. Pass through the Bath-Haverhill bridge, which has stood proudly since 1829, or the 450-foot-long Cornish-Windsor bridge, the world’s longest two-span covered bridge. It’s likely that the first thing you’ll notice upon crossing the border into New Hampshire is a massive liquor store. Welcome to the NH State Liquor & Wine Outlet – there’s a lot of them. 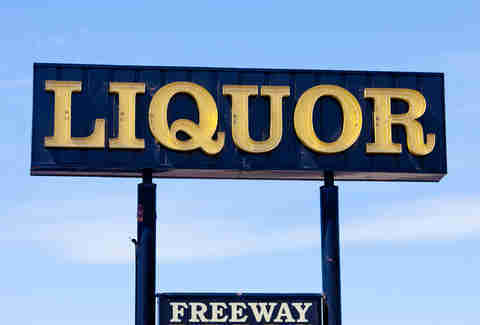 These state-run booze warehouses, often a highway pit stop, are known to draw crowds of thirsty shoppers. Lord knows New Hampshire doesn’t want to inhibit your freedom. 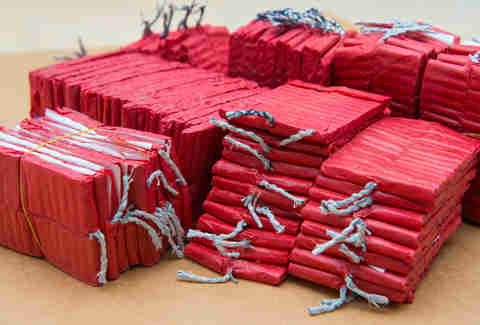 Once you’ve stocked up on your fine whiskey and peppermint schnapps, the next stop on your shopping spree might be the local fireworks store. No, we’re not talking about the limp sparklers they light up on the 4th in Boston. Owning up to its “live free or die” motto, New Hampshire permits the legal sale and use of roman candles, helicopters, cone fountains, mines, and reloadable mortars (to name a few). They do make clear that missiles however are not allowed. There are few things more relaxing than staring out over a lake in the morning, when the sun peeks out over the trees, the birds and lake creatures start stretching and cooing, and the morning fog quietly steams above the placid fresh water. Lake Winnipesaukee has been a beloved retreat from the city for over a century. One visit to the 70 square miles of open water and 258 small islands and you’ll understand why. 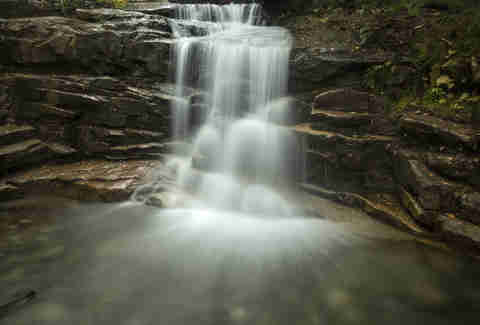 About 3 miles out on the Franconia Falls trail in Lincoln lies an incredible natural waterslide. The ancient formation, smoothed by thousands of years of erosion, today entertains children and parents with a truly organic thrill. The slide varies depending on the water level, but visitors can expect a quick chute followed by at least a small drop into the churning natural pool below. For the brave, check out some of the cliff jumping nearby -- if you do, be wary of the water level. 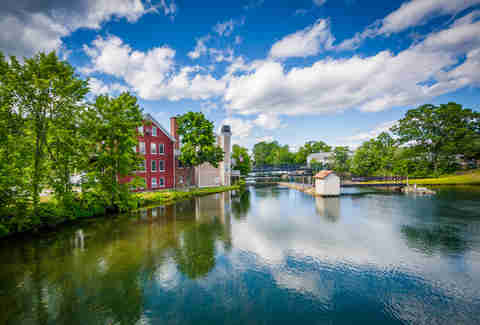 New Hampshire has somehow become a haven for theme parks, boasting four major attractions: Story Land, Canobie Lake Park, Santa’s Village, and Water Country. 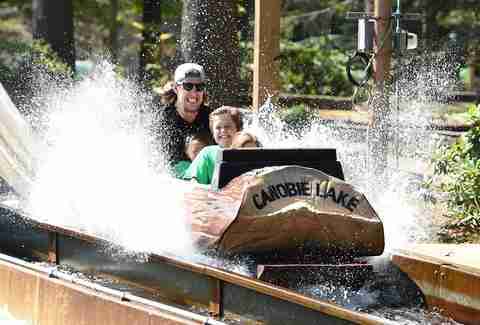 Thrill seekers should ride the 58-foot high Geronimo at Water Country or the classic wooden Yankee Cannonball at Canobie. 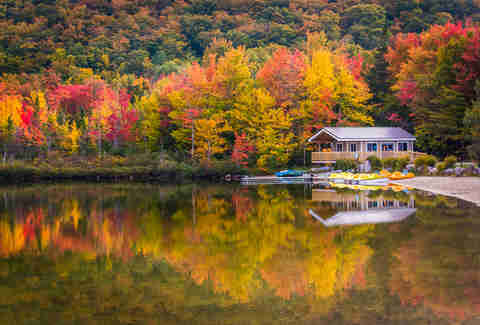 New England is renowned for its incredible fall foliage, where the leaves of millions of trees turn from green to yellow to orange and eventually to a crimson red. The result is a truly breathtaking array of colors rolling through mountains and hills. The best views can be found atop one of the New Hampshire’s many 4,000 footers, but otherwise a drive through the 34-mile Kancamagus (“the Kank”) will not disappoint. Just make sure you get the timing right! One of the best ways to summit Mt. Washington without all the legwork is by the Cog Railway. 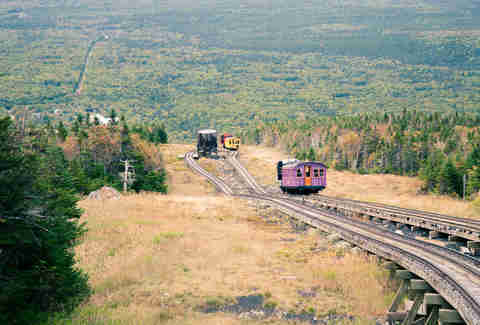 “The cog” is world’s first ever mountain-climbing cog railway. Careening steeply up New England’s highest mountain on a steam engine sitting on rickety wooden stilts definitely carries its thrills. 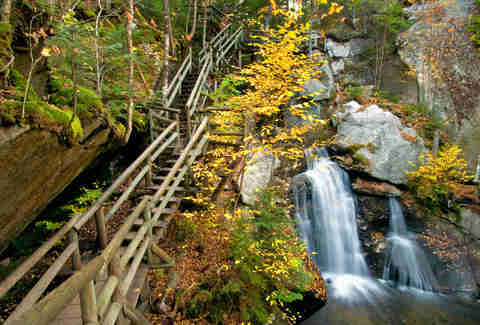 But it’s also a beautiful and historic way of seeing New Hampshire’s White Mountains region. The Tuckerman Brewery is located right on the eastern side of “the Kank” and makes for a great pit stop. The beer can be found all over New Hampshire, though. Its name pays homage to Tuckerman’s Ravine, where every spring hundreds of loose-living skiers and boarders will hike up a few hours for some seriously steep backcountry and a few cold brews: a truly dangerous combo. 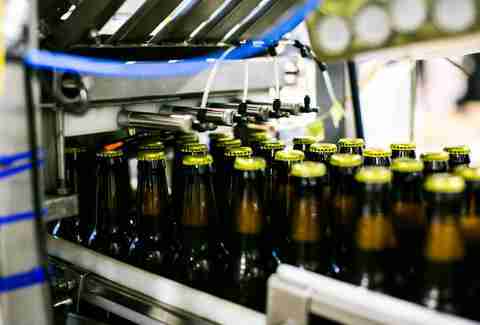 Plus, the brewery recently opened a concert series worth seeing. The Lucknow Mansion, known as the Castle in the Clouds, is a 5,500-acre estate built by a wealthy shoemaker in 1914 for his second wife. 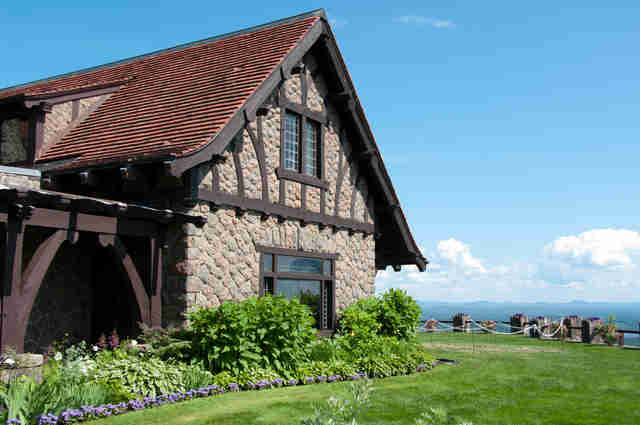 Located atop Lee Mountain, the castle offers views of both Lake Winnipesaukee and the Ossipee Mountains. Today, visitors will come to stroll its 16 rooms, dine at the carriage house restaurant, soak in its views, or enjoy the guided horseback riding. Any spelunker will enjoy the Lost River Caves in Woodstock. The ¾ mile boardwalk, with views of the Lost River Gorge, is a bit of a choose-your-own adventure -- there are numerous caves alongside the boardwalk of varying depth and size that are worth exploring. Adventurers, consider the lantern-guided night tour. 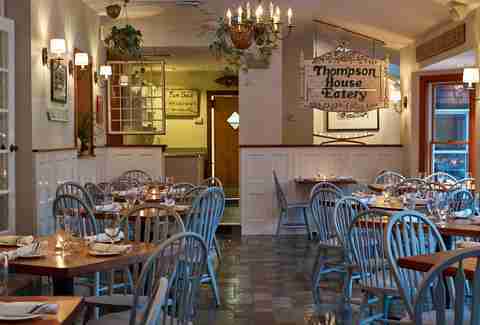 Located in the quaint town of Jackson, the Thompson House Eatery (“T.H.E.”) is an unassuming outlet for some very fine dining. The house itself is steeped in a family heritage around new England hospitality that extends back to the 1800s, and it shows through the architecture and homey fireplaces. Delight in the North Country Bacon Carbonara, Citrus Brined Bone-In Pork Chop, or the Classic Jackson Fries. Mt. 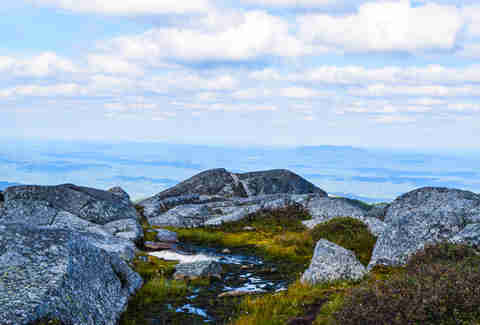 Monadnock stands not more than a half hour from the Massachusetts border. Yet at 3,166 feet tall, it’s an impressive feature for its location. With trails of varying difficulty, it’s also an attainable mountain for hikers with little to moderate experience. Plus, any English majors here can appreciate the mountain’s prominence in the works of Emerson and Thoreau. The Red Parka Pub (pronounced “pahka”) has been serving up good food and good times for 43 years. Enter its “skiboose” and lay witness to what a small ski town bar should be. Old license plates, stickers, and crude jokes line the walls. Most nights, there’s live music, with bands such as Rek’Lis, Diana’s Bath Salts, and Dean Machine rousing the crowds. On a quiet Monday, the open mic night with Mike can draw some unexpected characters too. 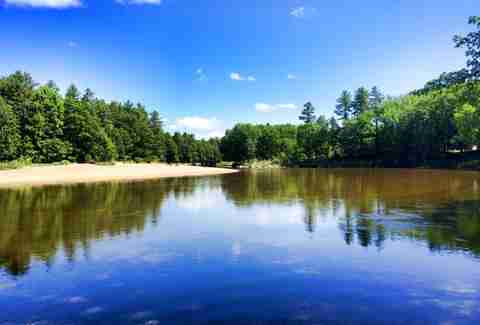 The Saco is one of the iconic natural sights in New Hampshire and is a popular spot for all sorts of water recreation. 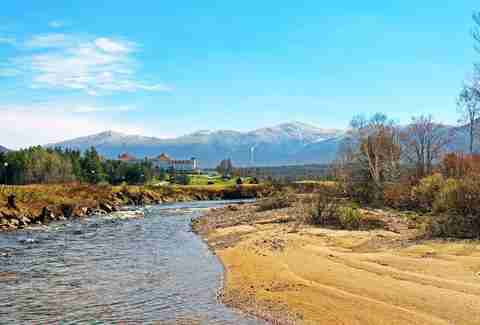 The all-natural lazy river offers casual journeys alongside sandy beaches and the occasional rope swing. Finding rental companies isn’t hard, and they’ll set you up with gear and transportation to and from designated drop zones. 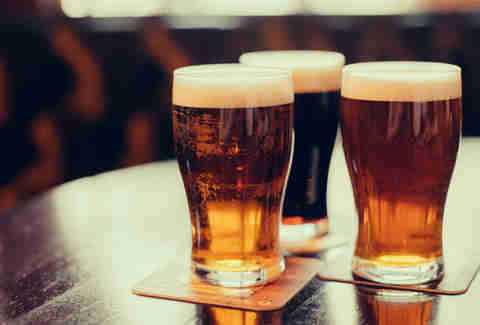 If you do decide to bring brews, which might be recommended, just be responsible about not littering.